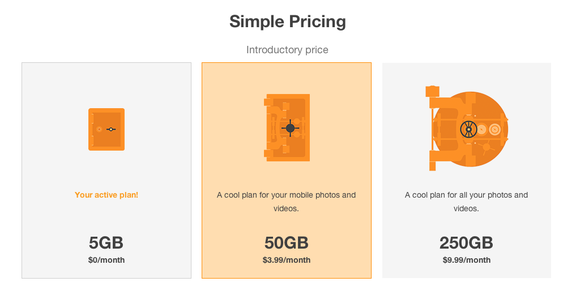 Many services are bidding for the chance to store and share our digital memories: Apple’s Photo Stream, Flickr, Instagram, 500px, Everpix, and many more all pitch various ways to hold and showcase our photographs, but all do so slightly differently—and not always successfully. The new Loom service aims to do many of the same things as the above-named platforms, but it has an edge: excellent apps, a clean design, and a speedy back end. I took it for a spin over the past few days, uploading photographs and video from all manner of sources. Here’s how Loom shakes out. From the start, it’s easy to see why Loom is drawing comparisons to Dropbox. It shares the same clean, crisp design that the cloud storage giant is known for, though without some of its more-cartoonish flair. Currently, the photo service offers three ways to upload (and then view) your images: on an iOS device, via the Web, or on your Mac. Activate Loom on your computer, and you get another Dropbox-like feature: local copies of all your photographs and video, synced to a designated Loom folder on your hard drive. Also similar to Dropbox is Loom’s storage limit: Users get 5GB free, and can pay $4 a month to upgrade to 50GB or $10 a month for 500GB. 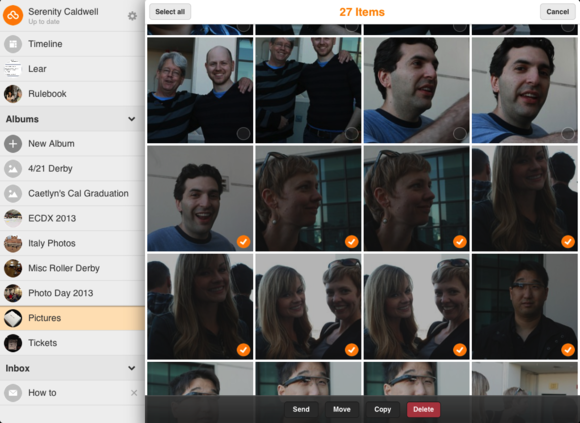 Loom offers larger storage options if you plan to keep more photos on its service. If you have the space, however, the photo service can sync with an unlimited number of iOS devices and computers. It’s currently missing sync support for some of the big services and programs, such as iPhoto, Instagram, Facebook, and Flickr; but Loom founder Jan Senderek told me that such a feature is currently in the works and should arrive in the coming months. The app also seems to be pretty good about syncing and deletion: Once you sync images to Loom, they’re there until you delete them from the service. And if you delete a photo on Loom that still happens to be on your iPhone, the app recognizes this and doesn’t attempt to re-upload the offending image. Unfortunately, it currently can't seem to identify photo duplicates from different sources—that is, if I synced my iPhone to my computer, and then synced both the phone and the computer to Loom, the service would upload both copies of those photographs. Senderek and his team are, again, aware of the issue, and are working on a solution, but in the meantime, you’re stuck managing those duplicates yourself. 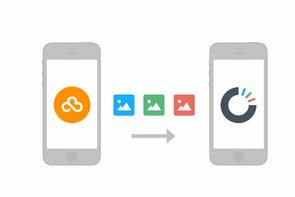 The good news is, if you use Loom as it’s intended to be used—as a cloud-based library—you may never run into duplicate problems after initial import issues, because you’ll likely never need to upload iPhone pictures to your computer again. Why? Because of Loom's organizational power. 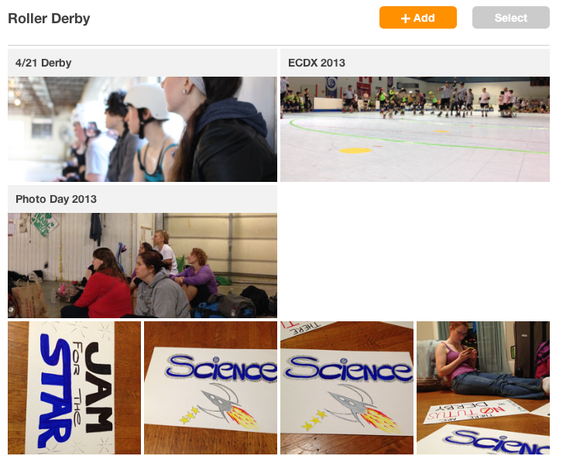 You can view your images from any device; they'll be optimized specifically for that device. In contrast, Loom is a hot-air balloon: It floats to wherever it’s needed. You can upload from anywhere, view from anywhere, and even download your full high-resolution photos and video from anywhere. So if you want to edit a great photo from your trip overseas last week, you can just download it, make your changes, and re-upload it to Loom (or send it on its journey elsewhere). The workflow is blessedly simple, and lets me take editing someplace outside of my default photo manager. Unfortunately the iOS apps have no support yet for Open In, though Senderek notes that it’s on the list of to-dos; in the meantime, you can download the image to your camera roll, make changes, and then sync. 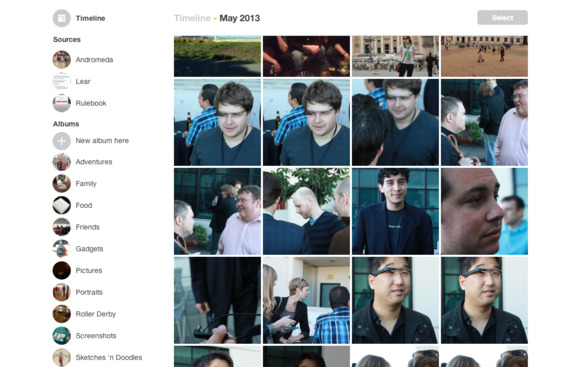 Loom's sharable links look similar to Dropbox galleries. 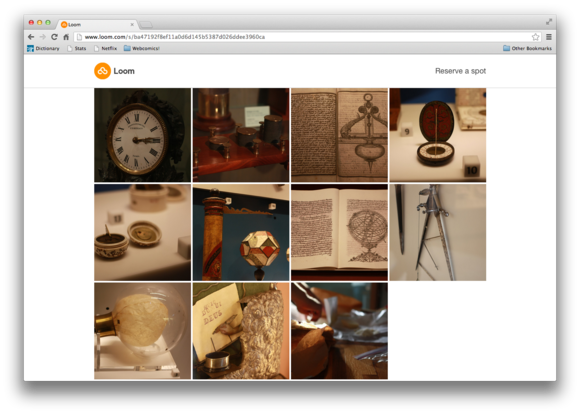 While Loom is primarily a private service for your images, it does offer basic sharing capabilities. You can email, iMessage, and send a public Web link to a single image or multiple images; there doesn’t currently appear to be a way to share a full album, however, or to subscribe to a shared album (à la Shared Photo Streams). Loom has a fantastic drag-to-select option, but you can't use it in Timeline view. As a photo manager, Loom has some omissions. It would be nice to have the Open In command on iOS, for example, or to have the drag-to-select option in the Timeline. It doesn't have a way for you to edit photo metadata, or rotate. Videos aren’t yet available for people to watch (due in part to scaling worries and proper video delivery). And it’s still missing some import options I’d love to see. But these are minor complaints; even if none of them were addressed, Loom remains a compelling option for managing your central collection of images and video. Given the heavy storage requirement, Loom is currently operating on an invite-only waiting list model; if you’re interested in taking it for a spin, you can visit the website and put your name on the list. I’ve been really impressed by what I’ve seen so far, and even ponied up for a larger storage amount—because, hey: If this service allows me to never open iPhoto again, it’ll be worth its weight in gold. Updated at 1:40 p.m. to note that Loom does, in fact, have a drag-to-select option.